Last weekend, I did a quick run of the new rules from Baccus, "Ruse De Guerre." The scenario was once again a variation of Cowpens. this will not be a detailed review of the rules, I will leave that for the more qualified, but just soem fo my observations and how I got on with them. I broke several rules when playing a set of rules for the first time. Normally, I try to play rules as written out of the box a few times, but I made one exception in this case. I ran each side as a single force, and used the force morale rules to determine when a side broke. For solo play, I rolled for tempo points as the rules state, and then rolled a d6 for each side to randomize their tempo bids. My troops are based on 10 cm frontages so I used 10 cm as the base width for my table, here you can see the troops drawn up. (click to enlarge) British on the right and Morgan drawn up on the hill to the left. My measuring stick is 3 BW long with 1/2 BW marked on the section nearest the British. My bases are 10 cm x 2 cm, so I needed to be able to measure 1/2 BW. Here are Morgan's forces drawn up. And a closeup of Tarleton's forces. The British advanced on the American position, being picked off by riflemen as they advanced. A few shaken results were obtained, which slowed down the British advance and forced Tarleton to spend tempo to rally his troops. Later in the game, it would cause the British to hit the American line piecemeal. Here you can see that result, the 71st Highlanders are valiantly trying to carry the hill, but the British right is bogged down, and they have lost the 7th Foot on the left to Patriot musketry and enfilading fire from riflemen. Tarleton tries to recover the situation by launching the British Legion Dragoons up the hill in a charge that disperses some of the American Militia. But, it is t0o little, too late, as the 71st Highlanders also break due to weight fo American fire. All in all a fairly historical result and in line with the several replays of this scenario I have done with One Hour Wargames. Initial placement is everything and redeploying troops is difficult. Pick your point of decision on the battlefield and arrange your troops accordingly. This is entirely in line with everything i have read from the period. There are only 3 states a unit can be in, fully operational, shaken, or broken and fleeing. I rather like that, as there is reduced effectiveness for shaken troops and you have to decide if you are going to spend your precious tempo trying to rally them or using them to launch attacks. A little less fiddly than tracking hits as in OHW and you can rally troops. I feel the rules worked well with my basing scheme, something I was doubtful of at first. With the way my troops are organized, my games will be on the smallish side for the rules, but that does not seem to be a problem and so far seems to give a good game. 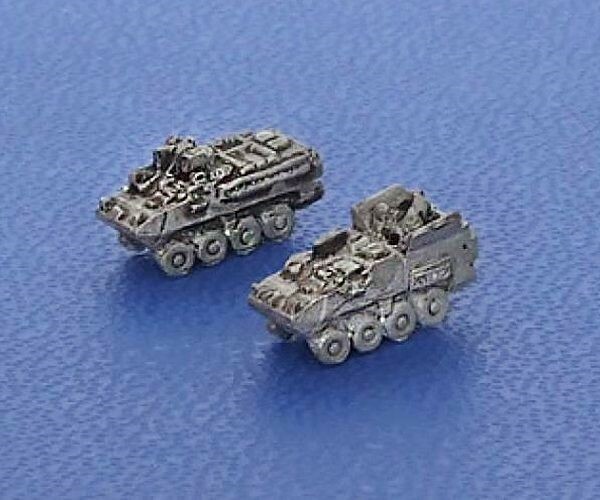 I highly recommend these, you can order them from Baccus or like I did as PDF from Wargames Vault. They are fast play without sacrificing period feel. I suggest you get a copy if you are at all interested in the FIW, AWI, or 1812 in North America. There are several scenarios included, including Cowpens, although I basically rewrote it from scratch to fit my collection. I hope to get some more tests in soon and work my way up to Guilford Courthouse, until then, good gaming! First off, I want to let you know that this entire project was inspired directly by Bish's 3mm Tiny Tanks Blog. He is doing a 1:1 Scale project and is a much better at painting, basing, and terrain than I am. And the US Army as well. 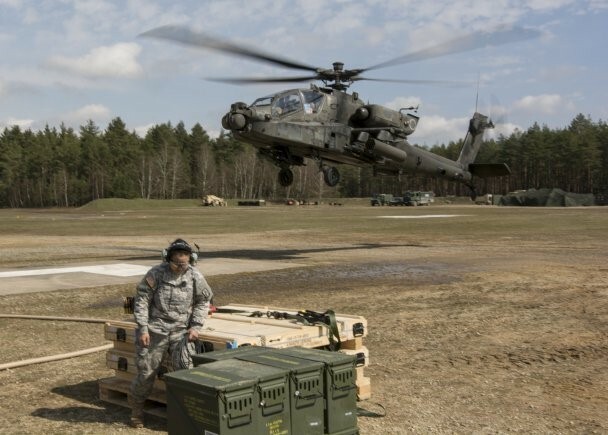 For the US Army, I went with NATO 3 color camo, excet for the Strykers, as every photo I have ever seen of them, even 2nd ACR in Germany, just show solid green. After adding camo, I drybrush light grey and then add Army Painter quickshade. After that drys, a final spray with a matte sealer and we are good to go! I am in the process of finishing basing up the vehicles, which takes longer than painting them! Meanwhile, I am working on the Infantry bases, here is a Stryker Rifle Platoon of 3 x Rifle Squads and a Weapons squad. This is taking a bit longer as clipping the O8 infantry apart is difficult because of the hard metal they have to use, but looks like it will be work it. More later, until then, good gaming! The Stryker Infantry Company with attachments will be the basis for one the forces I am assembling. For all of the details on the formation, see FM 3-21.11 The SBCT Infantry Rifle Company. "The SBCT infantry rifle company capitalizes on the strengths and minimizes the limitations of mechanized and light doctrine. 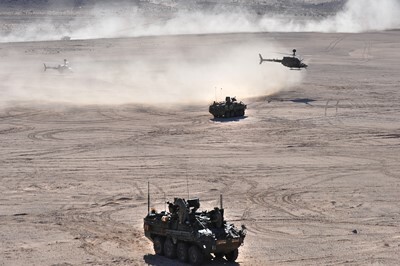 The light infantry ethos is the foundation of this organization but is combined with the speed, mobility, and precision of mounted warfare. Success is achieved by integrating the complementary characteristics of each type of infantry where decisive action must occur." *The official organization of the SBCT Infantry Rifle Company has been modified since the FM was published. 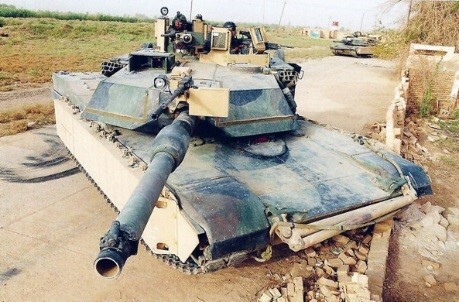 The original concept was for every company to have a platoon of Mobile Gun Systems for direct fire support. These are Strykers with a 3 man crew and a 105mm gun and autoloader. They were designed to provide direct fire support to the Infantry and NOT act as a tank. 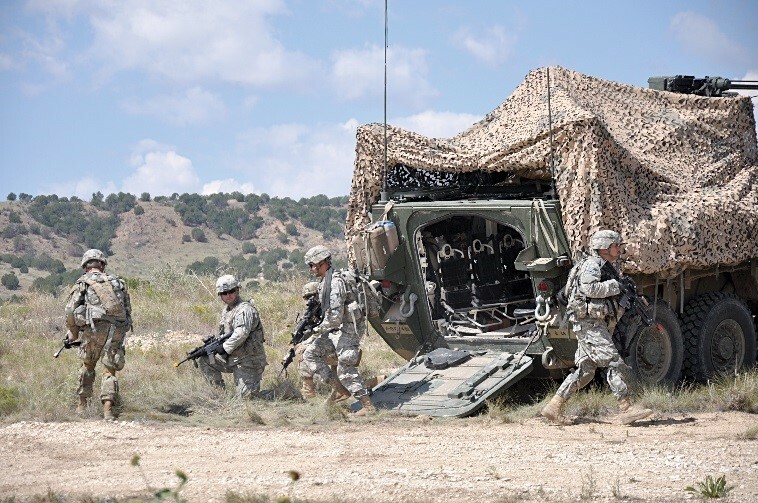 Fielding and budget issues have convinced the Army to reduce the number purchased, so instead of 3 per company (27 per SBCT) there are 9 assigned to the SBCT Anti-Tank Company (9 per SBCT). More on this in the attachments section. Infantry: This is the main combat power of the company. As you can see above, the company has Rifle squads (also armed with Javelin ATGM), weapons squads with M240’s, and a sniper team. Mortar Carrier: The Company has an organic section of two 120mm Stryker Mortar carriers. 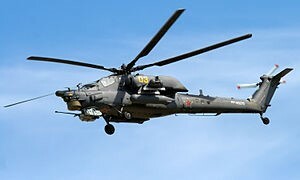 This provides immediate indirect fire and smoke, including precision guided munitions. FIST: The Company has a dedicated fire support team that acts as the company commander’s main coordinator for indirect fire and air support. Interestingly, the Army is experimenting with mounting a 5kW laser on this chassis to defend against UAV’s. 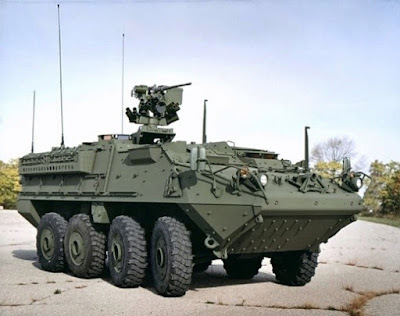 I will be modeling this with the RV version of the Stryker, as they look similar and are basically ICV’s with extra sensors and laser designators on top. 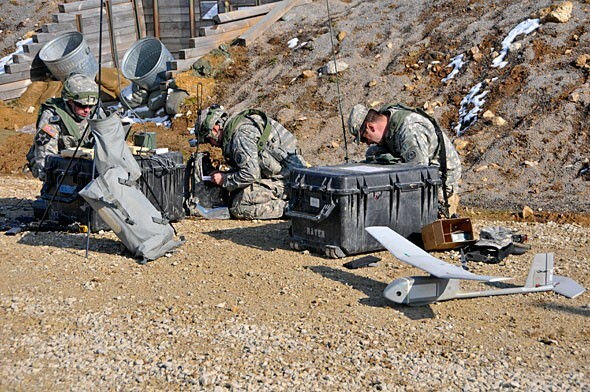 Raven UAV: This was added to the Company around 2006 and gives the company commander direct ability to “see over the next hill,” although there are some limitations to its use in highly mobile conditions, see: "Tactical Employment of the Raven SUAS" . This will need to be modeled in the rules. There are also attachments that are not organic to the SBCT that have a high chance of being attached and falling within the SBCT Infantry Rifle Company Commander’s control or area of operations. 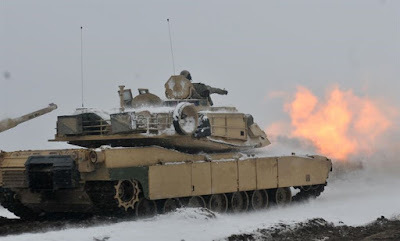 o It is probable that armor could be attached to a SBCT for high intensity operations. 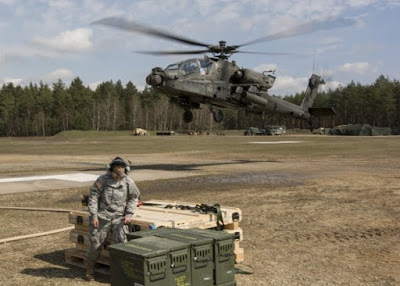 That has been practiced at the National Training Center and in one example a Stryker company was organized with 1 Infantry Platoon and 2 Tank platoons, see: "The Stryker-Tank Company Team"
Aviation: The SBCT has no organic aviation component, but the 12th Combat Aviation Brigade (CAB) is station in Germany and has 2 attack battalions equipped with AH-64D’s. All in all, the SBCT Infantry Company Commander has a plethora of organic potential assets under his command to accomplish his mission. I am modeling the wily Krasnovians on Russian Combined Arms Battalion Tactical Groups. 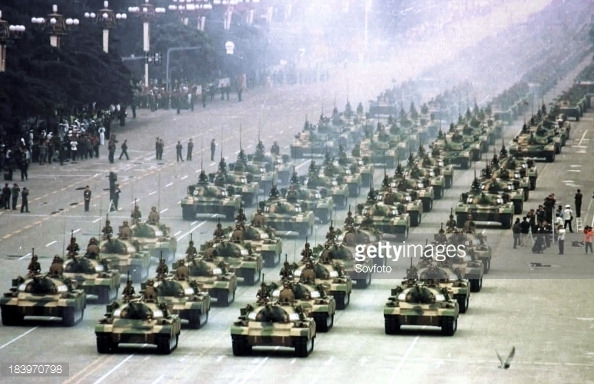 While superficially similar to old Soviet organization and still using a lot of the same equipment, this is NOT the Soviet Army of the 1980’s. 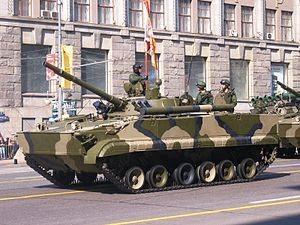 It is smaller and has a manpower problem, hence the high ratio of support weapons available at every level of command. The emphasis is on maneuver and decisive action in high intensity and “Hybrid” warfare, which involves using powerful conventional forces for limited political objectives. See my last post for some good articles on this. 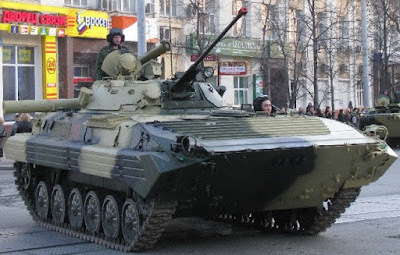 Tank Company: Can be Modernized T-72, T-80U, or the brand new Armata MBT. 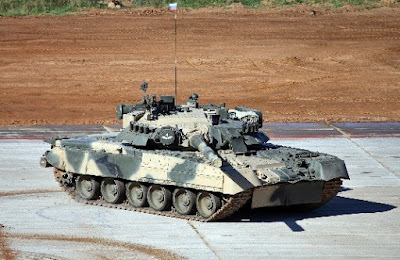 I am going to start with T-80U and my OPFOR will use the “Boris” MBT as a surrogate as I can have it work for any of those. 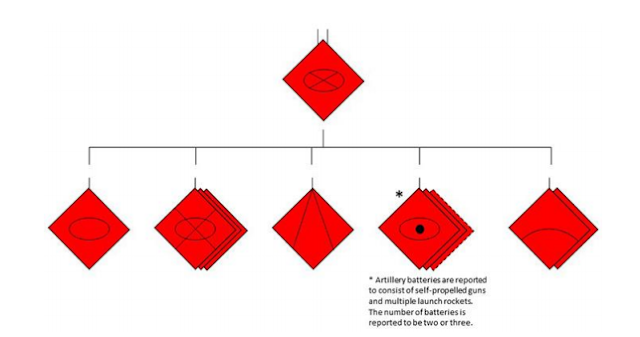 Anti-Tank: this is a little more complicated, I am fielding “Thor” missile launchers as ATGM carriers. In the Russian Army, they are fielding the 2B16 120mm anti-tank gun / mortar, something that the US army has no equivalent for. My approach is not exactly a reproduction of current Russian Forces, but should give similar capabilities and challenges to the SBCT Infantry Rifle Company. Why use 3mm (1/600) scale at 1:1? The amount of geographic area a unit occupies has increased radically over the last 25 years. For example, in the 1980's a Soviet Motorized Rifle Regiment might attack on a 4 km frontage. In the West German Army, a Leopard 2 Panzer Battalion might hold a 4-5 km frontage on the defense. 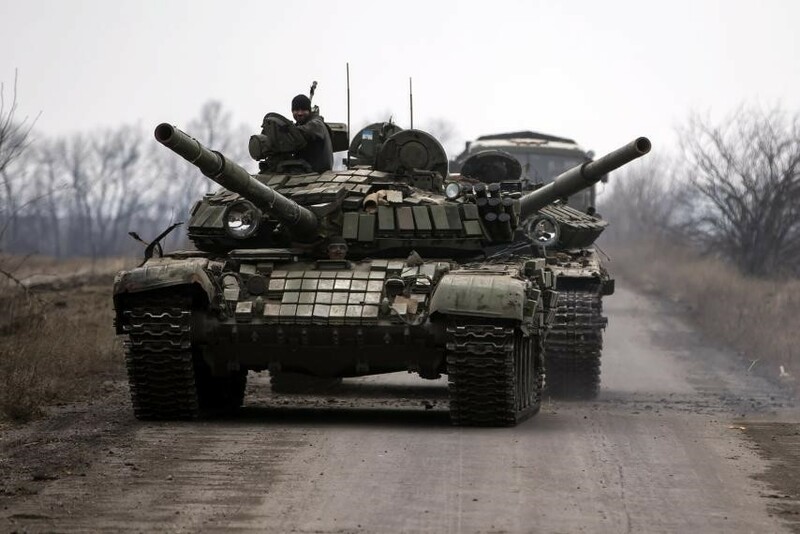 In modern maneuver operations, the improvements in communications, lower troop densities, and improved reconnaissance at all levels has led to units spreading out much more and then rapidly concentrating for attacks, during recent fighting in the Ukraine, a Russian Brigade Tactical Group might be spread out over a 40 km frontage, roughly a tenfold increase. As a result, you need lots of room to maneuver and you can get that on a reasonable table with 3mm. No offense to our 15mm FOW and Team Yankee brethren, but the hub to hub tank park look just bothers me for purely aesthetic reasons. Horses for courses, but I do not want my table to look like this.. Even with using 1/600 scale vehicles, if I halve that to get my ground scale at 1/1200 a 1.5 meter wide table is only 1800 meters wide. The range of the Javelin ATGM is about 2500 meters. Using larger scale models would make it look odd to me. I bought everything for the SBCT Infantry Company with a company's worth of M1A2's from Pico Armor for $33 including shipping. They look great too, IMHO. I can knock this project out quickly and be up and playing and enjoying it rapidly with a minimum of fuss and trying to find some place to store it. All of these considerations led me to choose 1/600 and focus on company sized actions, with vehicles at 1:1 and Infantry based as squads or weapons teams as appropriate. Next time, I paint some vehicles! First some history… In 1995, I was a young soldier stationed with the 3rd Signal Brigade at Ft. Hood, Texas. I lived in the barracks, so what did I do with my free time? I played DBM twice a week and I participated in “Team Trackless” on my Pentium 75 computer and dial-up internet service. Team Trackless was “a volunteer, unclassified effort to use commercial wargames to test new doctrine and tactics for the new "trackless" (wheeled armored vehicles) brigades the US Army is experimenting with. Team Trackless members are all wargamers, and many are wargame developers and military professionals. The purpose of Team Trackless is to see if we can develop a faster way military professionals to test new ideas using off the shelf tools." In fact, the only maneuver Brigades permanently stationed in Europe is the 173rd Airborne and the Stryker based 2nd Cavalry Regiment. Reading through a few recent issues of Armor and Infantry Magazines and a fellow miniature gamer’s blog has sparked my desire to do some ultra-modern gaming and see how Stryker Units would possibly fair in what the Army calls the “Decisive Engagement Environment.” With the end of 10+ years of counter-insurgency operations in the Middle East, the Army is having to relearn the ability to fight a near-peer enemy. Additionally, the Russian Army has come a long way from what we model when we play the Group of Soviet Forces Germany in hypothetical 1985 scenarios. Additionally, if you have any interest in ultra-modern warfare at all, you should read both Armor (http://www.benning.army.mil/armor/eARMOR/) and Infantry (http://www.benning.army.mil/infantry/magazine/) magazines. A lot does not apply directly to our tabletop games, but it is nice to be reminded how little “simulating” we actually do, as we tend not to worry about logistics, casualty evac, reconnaissance, the layout of a BCT TOC, maintenance, training plans, etc. So, I am embarking on modeling a specific type of conflict in 1/600 scale, a reinforced US Army Stryker Infantry Company versus elements of a Russian Battalion Tactical Group. I have bags of Picoarmor 3mm Sci-Fi stuff, so to save money and in the best tradition of the US Army, I am replacing the Russians with a suspiciously Russian equipped and organized OPFOR, the Krasnovians. I got in another couple of solo games this weekend, starting with another One Hour Wargames jaunt to the American War of Independence. I have fiddled with the rules some more, dropping the command die rolls. They did not seem to add much to the game except more fiddling, so I added Fog of War cards as suggested in the rules, except the British and Patriots have separate decks. The British tend to have more beneficial cards, and the Patriots more negative effects. See below for the new QRS and the card breakdown. I printed up and laminated a the cards, including picture of re-enactors I pulled from the web. The first scenario I played was from the OHW book, Seize the Hill, I forgot which number it is. Both sides are trying to seize a prominent terrain feature. The British are advancing from the south and the Patriots from the north. You can see my improved sponge forests, I cut them down so they are not so tall and repainted them in less garish colors. I am rather pleased with the effect. Here you see the main struggle for the hill, with the Legion Cavalry trying to flank the hill. Here you see the critical final moments of the battle. The British have actually surrounded the Patriots on the left flank and they decimated the 2nd Maryland Continentals with some brisk volleys helped by a Fog of War card. Meanwhile, the US Postal Service delivered another package from Cigar Box Battle mats, this time one of the non-plush Open Grasslands mats. I ordered it, as I wanted some smaller mats that could fit my table better, but the amazing plush mat I have looks like it might fray if I cut it. So, I took the new mat and cut it making a 50" x 38" mat and two 25" x 19" mats. I will still use the plush mat, especially for "away" games where I have access to a larger table. On a whim I set up something that looked sort of like the battle of Cowpens. I have been thinkinng a good convention game might be "Cowpens in an Hour," a small game that I can run once an hour and folks can cycle through it without having to commit to a 4 hour mega-game (not that I don't like those) and still have time to hit the vendors. Reversed view, Patriots on the hill to the left, with skirmishing riflemen in front starting to pick off the British. The British advance on the main Patriot line on the hill. At the top you can see what turned out to be an unsuccessful attempt by the British Legion cavalry to turn the flank. The Patriots held the line, routing the 7th Foot and British Legion Infantry, and seriously mauling the light bobs and Legion cavalry. The 71st highlanders were in pretty good shape,probably good enough to fight a rearguard action and a few more British / Loyalists may have escaped than did historically. The rules worked well, but i am anxiously awaiting the new rules from Baccus Miniatures, Ruse de Guerre.